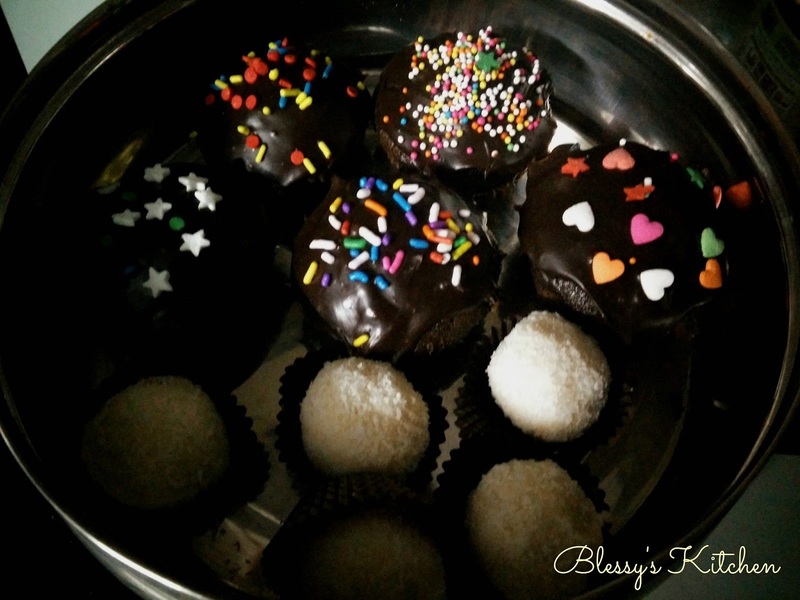 The White Balls are Coconut Snow Balls. 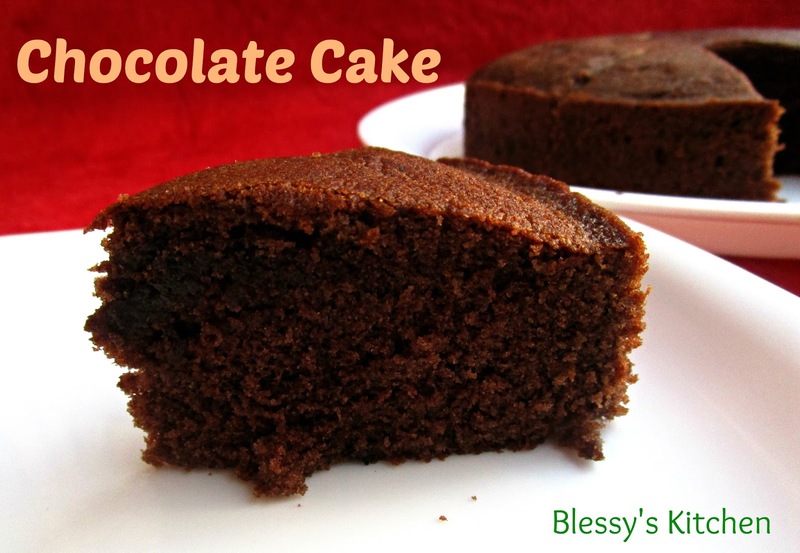 Read the whole post of the Chocolate Cake, Don't miss about how to make your own Butter Milk for the cake. 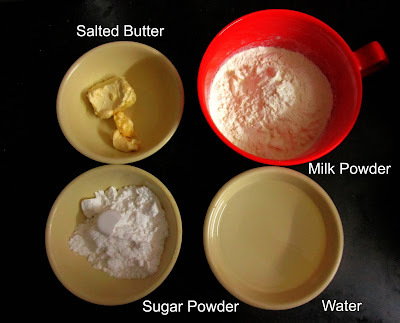 Begin by beating the butter and the sugar until pale and fluffy. 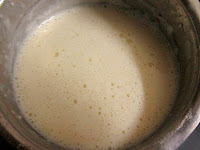 Add the vanilla, eggs, butter milk and further mix it until everything gets incorporated well. Now, add the cake batter to the greased cake tin, preheat the oven at 180 degrees C , place the cake tin in the top rack of the otg oven, bake for about 5 minutes (until the cake rises), next reduce the temperature to 150 degrees C and bake further 10 to 15 minutes, or until the tooth pick comes out clean when inserted into the center of the cake. This is how I did it in my new OTG Morphy Richards 28 Ltrs. Each oven differs, so keep an eye on your cakes when your trying any new recipe. 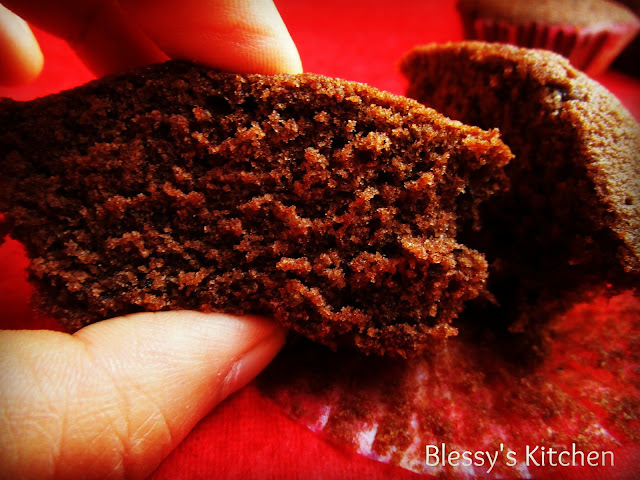 Here, I placed a cake tin and the cupcakes, cupcakes were ready by 13 mins approx. 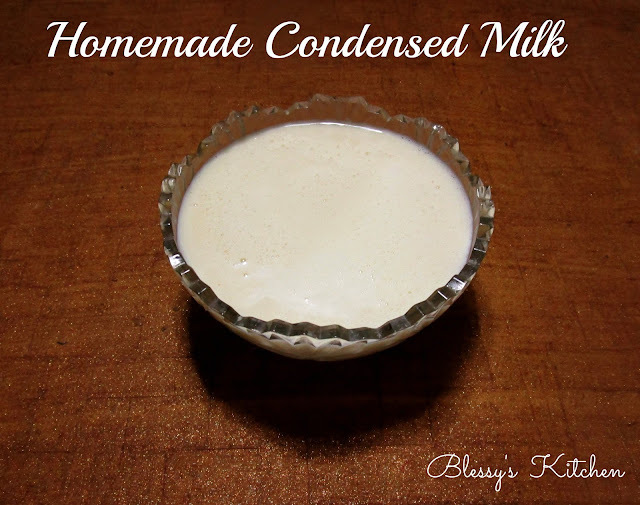 I made my own Butter Milk for this recipe. 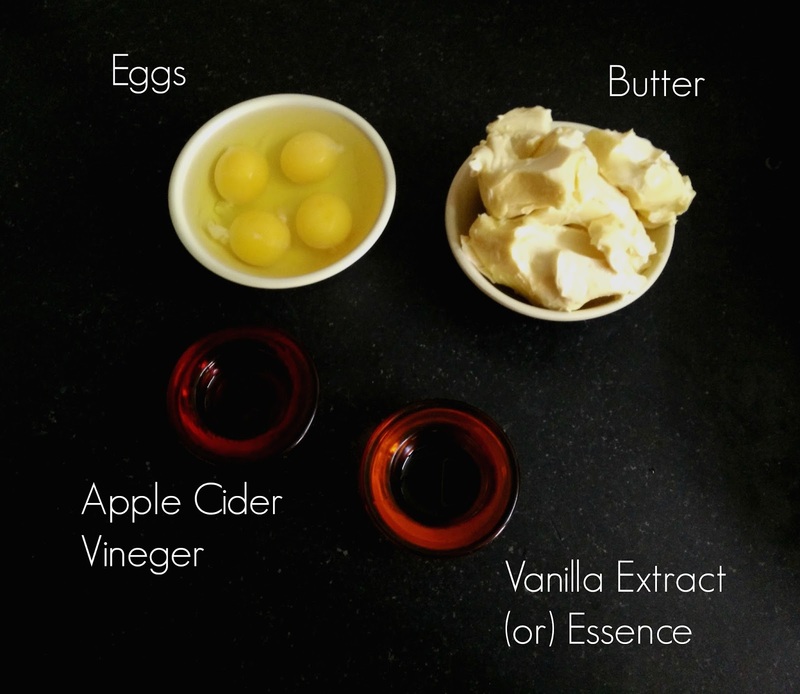 Here's how : Add 1 tablespoon of apple cider vinegar to 1 cup of milk. 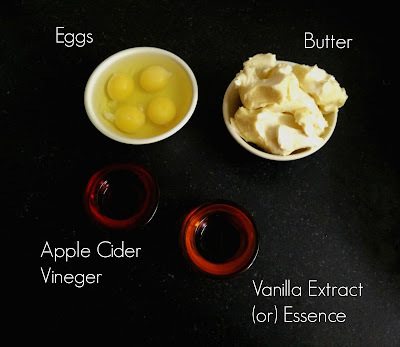 You could use plain vinegar too. Rest this mixture for around 10 minutes. After 10 minutes, you can see the milk slightly curdled! This is it! This buttermilk is used in the preparations of cakes, marination of the chicken, biscuits etc. Do not drink it. Store the cake in an air tight container once it cools down. One could also refrigerate the cake for about 3 days. Leche Flan is the Filipino version of the Caramel Custard. 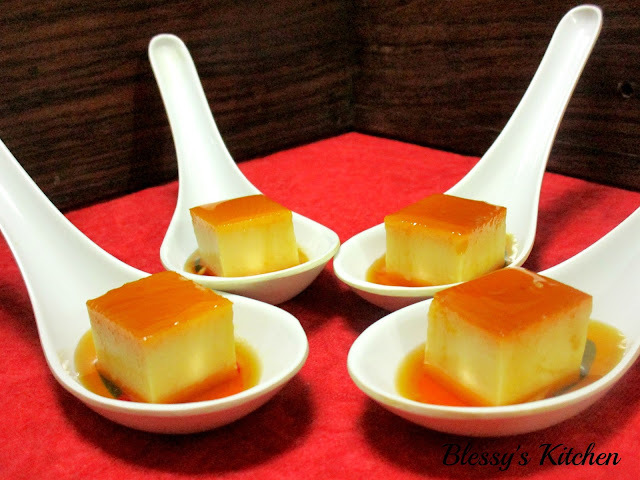 Its egg based dessert topped with the soft caramel. 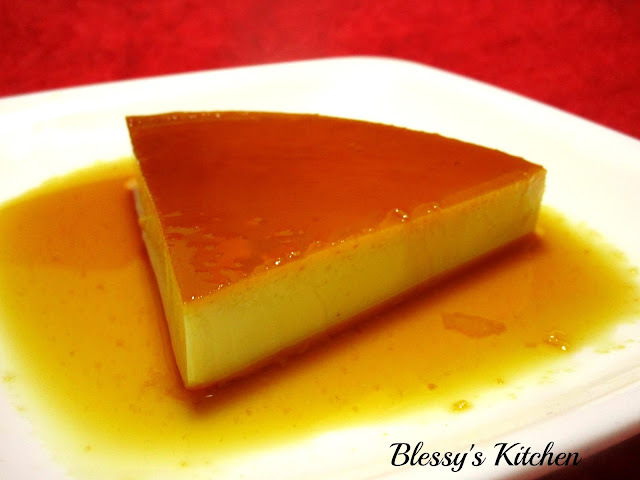 It's made using only the yolks, condensed milk, evaporated milk, etc while the Creme Caramel/ Caramel pudding (USA Versions) are made with the whole eggs and regular milk. 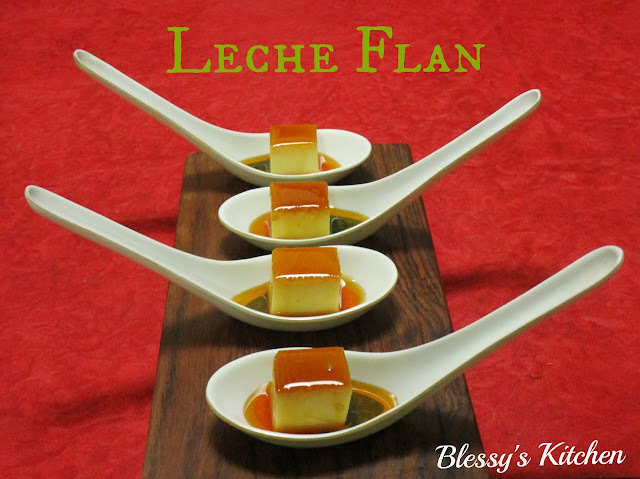 In my opinion Filipino version is rich, dense as well as creamy.This recipe was given to me by my friend who flew to Philippines for her studies. Thank you Varsha, This is damn yumm :). 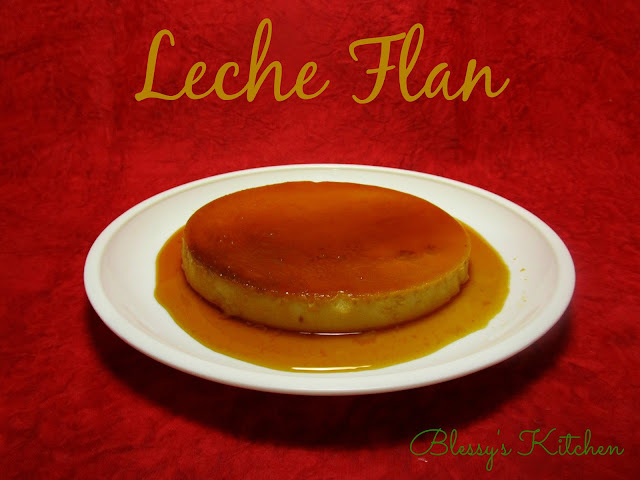 Note : Read complete post to know how I made my own evaporated milk, condensed milk and about how I steamed my Leche Flan. Next, add the evaporated milk, give it a gentle mix , finally add the vanilla and give it a gentle final mix. 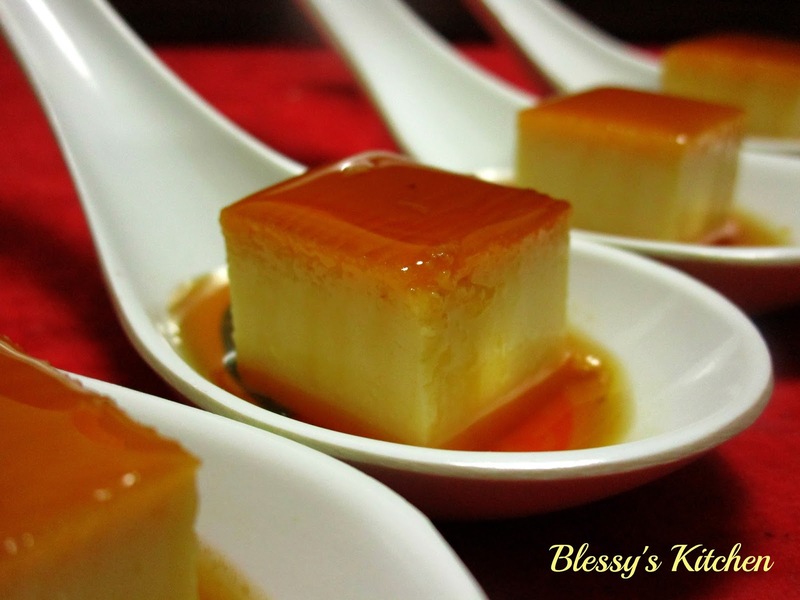 Now, add the sugar and the water to the flan mould and begin to heat it on the stove to make a soft caramel. After 45 minutes, I unwrapped the foil and this is how it looked! I allowed it to cool down completely, covered it with the plastic wrap and refrigerated it for 3 hours. 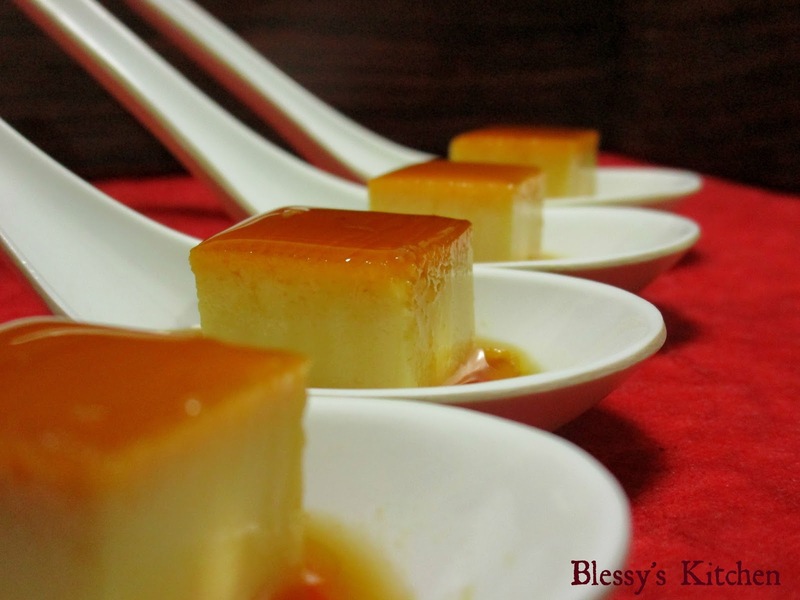 To unmould the flan, I put the mould in the hot water for 2 minutes(enough water to cover the bottom half of the mould), loosen the edges of the flan by running a knife around and inverted on the serving plate. I made my own evaporated milk instead of the canned product. I also made my own condensed milk instead of the canned product. How I steamed my flan using The Indian Pressure Cooker? I filled 1/4th of the pressure cooker with the water and brought to a vigorous boil. Next, I placed a stainless steel colander and placed the flan in it . Finally, I covered it with a lid. I covered it with the lid, but missed the click. 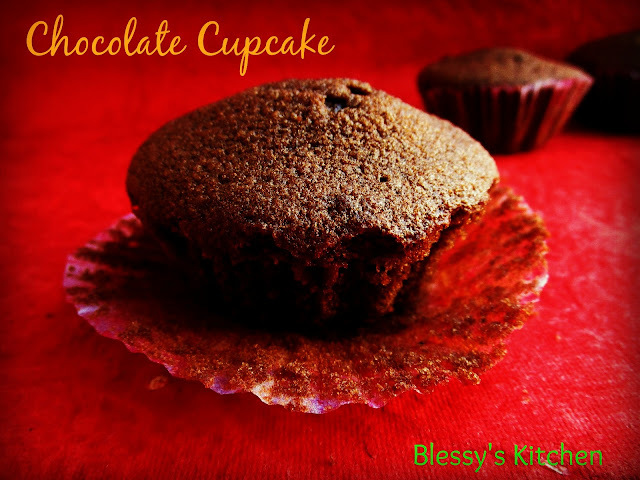 Comment below what you think about this recipe. 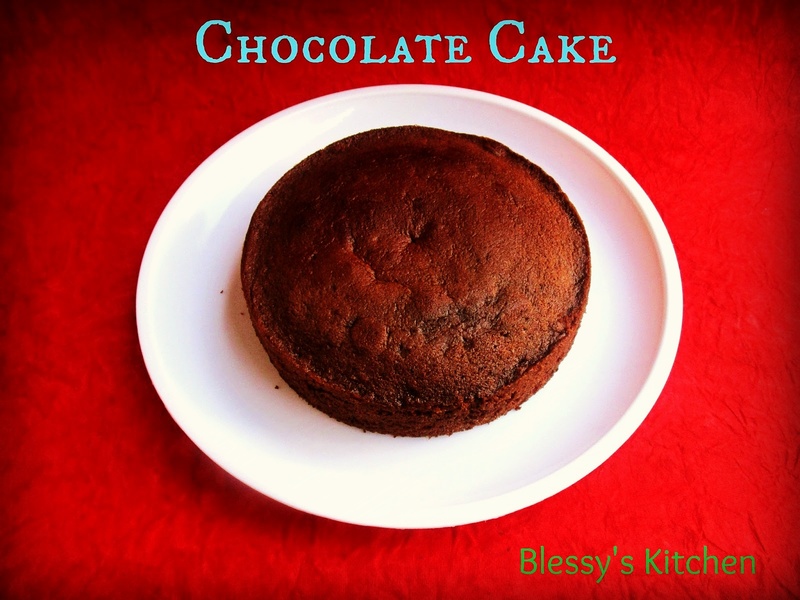 Share this recipe with your Family and Friends. Do try it and let me know how it turned out! Condensed Milk is used in various Indian desserts as well as in Western Treats. Some even flavor their coffee with the Condensed Milk. 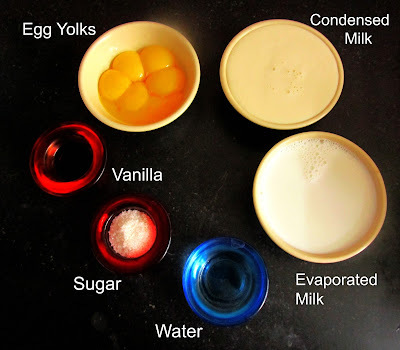 Its easy to buy the Condensed Milk tin from the store, give this a try, you will start making this instead of buying! 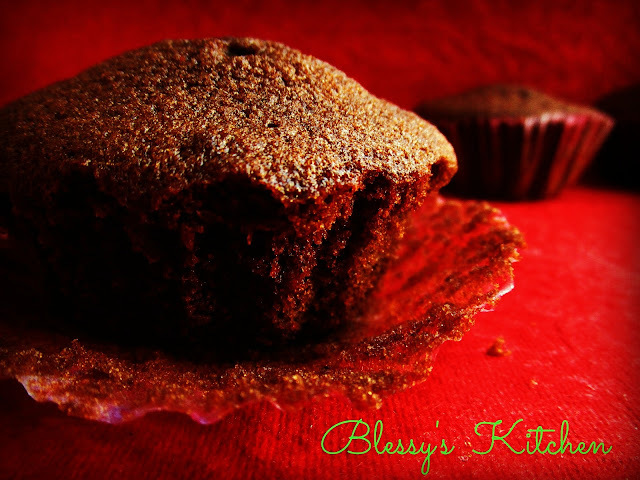 This is a very easy recipe which can be done under 10 minutes with just 4 ingredients and its tasty! Recipe courtesy- SonysKitchen. 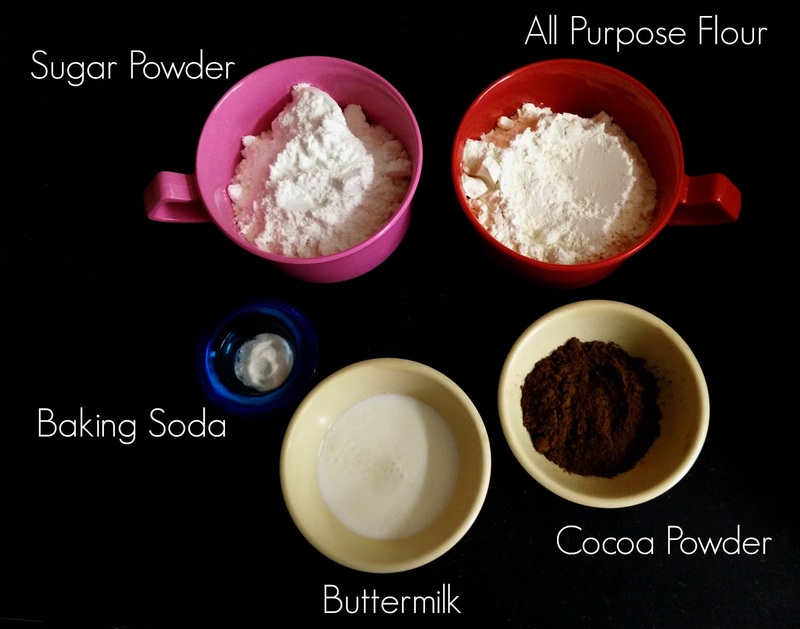 Next, to a mixer jar (I used small jar) add all the ingredients and blend it until everything is smooth. and blend until everything is smooth. 1. It stays fresh in the fridge up to 4 days. 2. 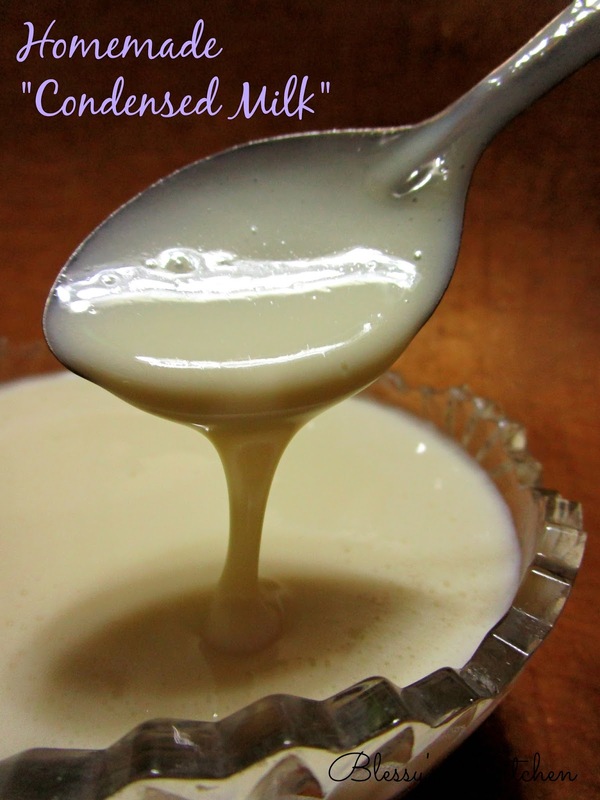 If needed, add the hot water before use to adjust the consistency after the refrigeration of the Condensed Milk. 3. I also tried making the Condensed Milk by adding Amul butter. It turned out to be thick. Add hot water and adjust the consistency.